This course will take you through a simple three-step process. If you have always wanted to be a published author now is the time to write! Start writing your story. You can work through this handbook at the same time to get hints and tips to improve your writing. Write gripping stories that readers want to read. Remember, the quality of your writing will keep your reader reading! 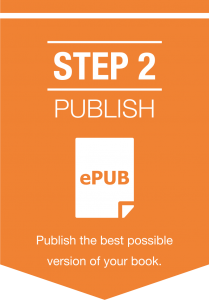 Once you have a perfect, polished and professional manuscript, we give you step-by-step guidance and show you how to publish your book as an eBook. Don’t be put off if you think you are not technical. We will guide you through the process of publishing on Smashwords, an eBook platform that Via Afrika uses. Smashwords sends the eBook to a variety of eReaders like Kobo, for example. Get your friends, family and community to start reading your published eBook! Build a reading community and create a strong social media network to promote and market your eBook. Maintaining a connection with readers who love your writing will also help motivate you to write your next book and get them to buy it and read it! Access this free course now, and become a self-published author in no time. You may wish to download a handbook of this course in PDF format (3,6 MB) for offline use. Simply click here to do so. What is the WritePublishRead programme? Why is this an eBook programme and not a printed book one? 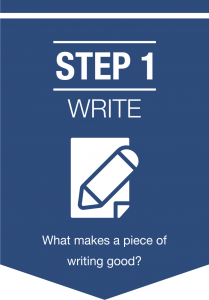 Step 1 Write! Let's get going! Your book needs an ISBN. 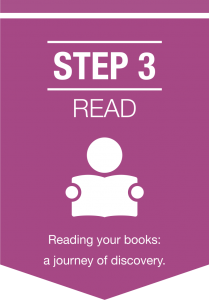 How do you read your book?